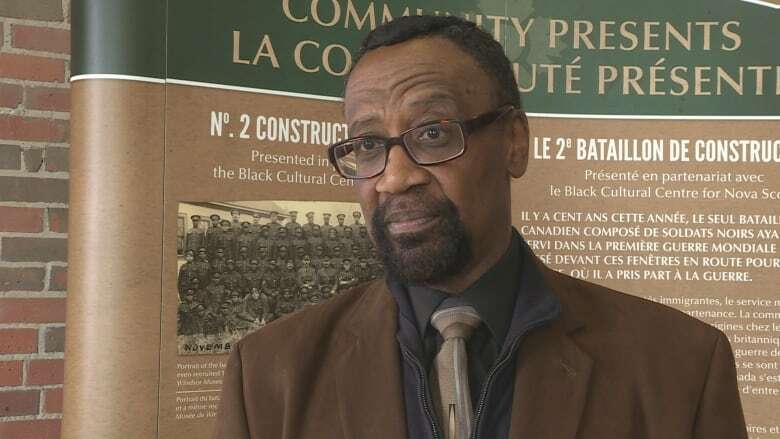 A century after Canada's so-called black battalion left Halifax harbour for Europe, the soldiers' relatives say their experience still carries relevance today. They faced racism and discrimination, and they had to fight a battle at home before they could represent Canada in the First World War. Now families of the so-called black battalion say the soldiers' struggles carry new relevance, given the state of the world today. Many black men were rejected from enlisting during the First World War because of the colour of their skin. In 1916, Canada allowed them to form the No. 2 Construction Battalion based in Pictou, N.S. It was Canada's first and only segregated military unit. Nearly half of the battalion's 600 members were from Nova Scotia. "When they were told 'This is not your war, this is a white man's war,' they were in effect being told 'This is not your country," said Douglas Ruck. Ruck's father, the late Senator Calvin Ruck, is credited for bringing the battalion's untold story to the forefront when he wrote a book about their struggles. Douglas Ruck continues to act as a public speaker, championing their accomplishments. "They were in effect separated by the rest of the forces and the rest of the country by a wall," said Ruck, drawing parallels to race debates ongoing in the United States. "A wall built of bigotry, a wall built of prejudice, a wall built of irrational fears, a wall built of hatred." Saturday marks the 100th anniversary of the battalion's departure to Europe. Even getting on the ship was a struggle. They were blocked from getting on their scheduled vessel because they were told they couldn't travel with white soldiers. Craig Smith, president of Nova Scotia's Black Cultural Society, agrees that the timing of this anniversary is significant, coming days after the International Day to Eliminate Racism. "If there was a time for us to need to come together, for the need for cohesion, the need to bring organizations together, now would be the time," he said. "It's an amazing piece of cultural history in Nova Scotia, not just here, but one that resonates across the country." Retired Capt. 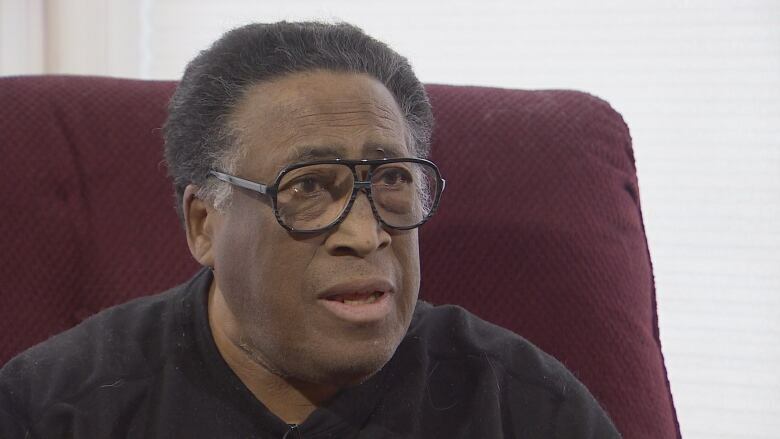 George Borden says he was able to have a successful career in the Air Force because of the No. 2 Battalion. "Basically I represent the legacy," he said. "The fact that today, in the Canadian military, a black person can hold any position that they're capable of holding, and in that day you couldn't even get a position to hold a rifle." He knew more than a dozen of the men who served in the battalion. He said many of them considered themselves failures because of how they were treated when they returned to Canada. "They came back to the very same thing they left with. They were still not considered full citizens, they were still disrespected, they were not hired, they were unemployed." Family members and community leaders will gather at Pier 21 in Halifax Saturday night to mark the anniversary. Among them will be Sylvia Parris, daughter of the late Joseph Alexander Parris who joined the battalion when he was 17 years old. Her father never spoke of his service, Parris said. She believes he wanted to protect his children from his experiences with racism. The No. 2 Construction Battalion never fought on the front lines, and they weren't allowed to have guns. Instead they headed to France armed with picks and shovels. They were tasked with building trenches, bridges and clearing the way for white soldiers to fight. "They were putting themselves in immediate danger. So in that regard they were a big contribution to the war and what happened in the success of the war," said Parris.